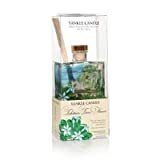 Choosing a Yankee Candle reed diffuser from the Signature range, could not be easier as there are currently loads of different fragrances including two that have recently been introduced to the range. Top Tip: You are sure to be able to find a fragrance that appeals to you and which will suit just about any room in the house and if you need help choosing, see below for the top four most popular fragrances in the range right now! 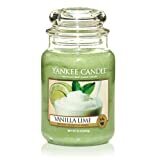 Yankee Candles’ motto is “A Passion for Fragrance” and they certainly live up to this, constantly bringing out new and delightful fragrances which help to set a mood, evoke memories and generally make your home feel warm and welcoming, relaxing or invigorating depending on the product you choose. Many people prefer the range of reed diffusers to the scented candles because the fragrance is so long-lasting and can be safely left to do its job 24/7 without any lighted flame. In addition, the diffusers make an attractive feature in themselves as they have hand decorated glass containers for the oil and make a really pretty feature in any room of the house. Another thing that people like particularly about Yankee Candle reed diffusers is that the same great fragrances from the Signature range are available in other products too. This makes it easy to accessorize a room with other items that match – or make a coordinating gift with a few items with the same fragrance, for example you could add a scented candle, a concentrated room spray, an antibacterial pump hand soap, wax potpourri, an electric fragrance plug-in or tea-lights depending on the fragrance you choose. This makes gift buying a cinch and also makes it simple to ensure that you do not have too many competing fragrances in a small room such as the bathroom, for example. 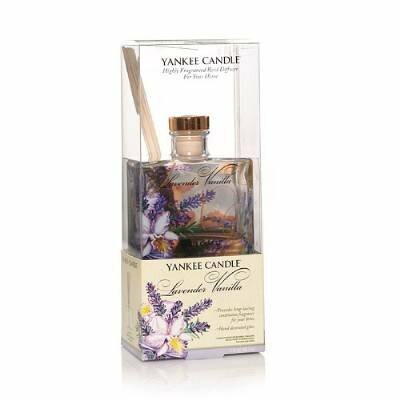 Which is The Most Popular Yankee Candle Reed Diffuser? One of my own favourites! To create a romantic mood, I don’t think you could better this lovely fragrance which smells a lot like gardenias! This is a lovely fragrance that would suit any room as it is light and delicate and the glass container would complement any decor. Of course, nothing lasts forever and when the fragrance is spent, you can replace the oil by purchasing a refill for your Yankee Candle reed diffuser, making it even better value for money!